It takes time for what has been erased to resurface. Traces survive in registers, and nobody knows where these registers are hidden, and who has custody of them, and whether or not these custodians are willing to let you see them. Or perhaps they have quite simply forgotten that these registers exist. That last little touch – “I can wait for hours in the rain” – is so typically Modiano. 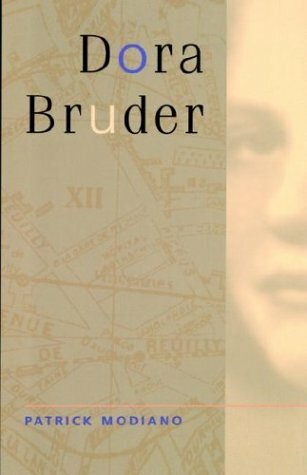 Here, in Dora Bruder, Modiano’s narrator is trying to assure us that he is persistent in the face of obstacles, that he is patient. And the proof he offers? “I can wait hours in the rain…” Quirky and understated. The interrelationship between memory, time, and place is central to the books of Patrick Modiano. In the opening sentence of Dora Bruder, he quickly alludes to three separate time periods. How should we parse a documentary image that directly or indirectly portrays evil, injustice, anguish? What rights and duties, if any, does our understanding engender? One of the most intense sections of Vollmann’s article centers on four extraordinary images from Auschwitz. “Smuggled out in a tube of toothpaste, they constitute, so we are told, the only known photographs of mass killing in the gas chambers”. As he notes, these images, made by a prisoner, can be viewed as a “brave affirmation” of the horrors inflicted by the Nazis. Still, there exists a substantial discourse on the ethical uses and legitimate interpretations of any and all Holocaust imagery. What Vollmann does well is to tackle some terribly thorny and emotion-laden ethical questions with great level-headedness, respect and clarity. No one can own a photograph, least of all the photographer, because his photograph came about as a result of three mutually independent parties—photographer, camera, and subject—and, moreover, because the photograph, manifesting reality, which cannot be owned, can affect us in ways that the photographer might never have foreseen or desired. His article Seeing Eye to Eye can be read online although unfortunately without any of the illustrations that appear in the magazine. He also recommends two of the books under his review: Georges Didi-Huberman, Images in Spite of All and Ariella Azoulay, The Civil Contract of Photography. 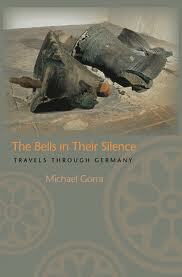 “What is it about Germany and the travel book that puts them seemingly at odds?” queries the front flap of Michael Gorra’s The Bells in Their Silence: Travels through Germany (Princeton, 2004). Not far into his book Gorra, a professor of English literature at Smith College, answers by quoting a headline from the International Herald Tribune: “Germany Wants To Be Normal, but History Keeps Getting in the Way.” And, indeed, the years of National Socialism and the Holocaust cast indelible shadows across the Germany of today and even across Germany’s past. Visiting Weimar and vicinity, Gorra muses on the profound irony that the site of Goethe’s famous oak (which no longer survives) lies “halfway between the disinfection chambers and the crematorium” of Buchenwald. Even as the Holocaust manifests itself everywhere Gorra looks, The Bells in Their Silence is otherwise a very discrete view of contemporary Germany. Gorra obliquely refers to “some curious cable channels” and he walks past – but does not enter – a street of prostitution in Hamburg’s red light district. 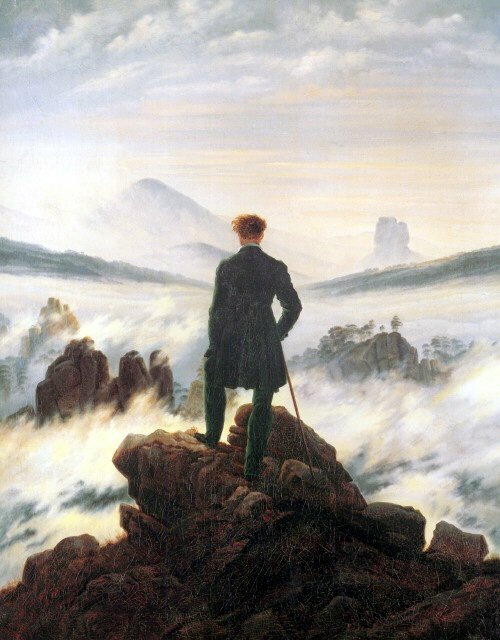 Otherwise he views Germany through the twin lenses of literature and history. He writes wonderfully about Goethe, George Eliot, Stendhal, Walter Benjamin, W.G. Sebald, Bruce Chatwin, Heinrich Heine, Thomas Mann, and Theodor Fontane, among others. He writes considerably less about a handful of places in Germany: Berlin, Hamburg, Lubeck, Weimar, Buchenwald. But, like the best of travel literature (a term that seems to belittle the book’s seriousness and scope no matter how deliberately Gorra himself uses it), The Bells in Their Silence finds a balance between the inner travels prompted by our travels to confront the unfamiliar. References to Sebald’s books – especially The Rings of Saturn and On the Natural History of Destruction, are scattered throughout Gorra’s book. The chapter called W.G. Sebald: An Act of Restitution in Christopher Bigsby’s recent book ought to be required reading for anyone interested in Sebald. 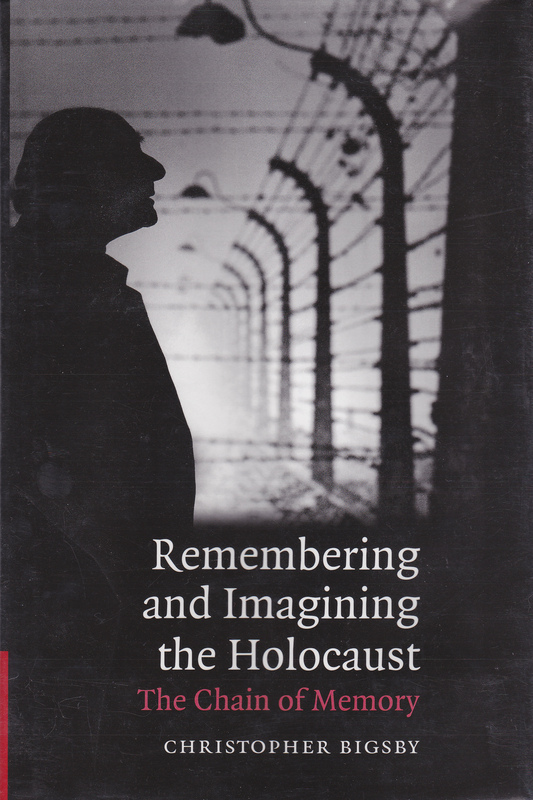 I’m not sure how often one can say that a book related to the Holocaust can be a “good read,” but that’s how I found his well-written book Remembering and Imagining the Holocaust: The Chain of Memory (Cambridge: Cambridge University Press, 2006). Bigsby’s fluid style is in keeping with his determination to strike a balance between biography and textual interpretation and, furthermore, to understand the inter-relationships between writers’ lives and their works. The longest and, in my opinion, best chapter is devoted to Sebald, with other chapters on Rolf Hochhuth, Peter Weiss, Arthur Miller, Anne Frank, Jean Améry, Primo Levi, Elie Wiesel, and Tadeusz Borowski. Bigsby ends the book with a chapter called Memory Theft, about several writers whose claimed Holocaust experiences have been disproved, including Binjamin Wilkomirski and Jerzy Kosinski. “This book began with a desire to celebrate the work of W.G. Sebald, a friend and colleague,” Bigsby declares on the first page, and the dual perspective of friend and colleague sets the pattern for an engaging exploration of nearly all of Sebald’s books. Bigsby traces the parallel course of Sebald’s growing awareness of Germany’s unspoken past with his increasing focus as a writer on that same past and on the terrible damage that German silence has inflicted on both war- and post-war generations. Bigsby’s reading of Sebald’s books is nicely nuanced by his friendship with Sebald and their conversations. (Sebald is one of the writers included in Bigsby’s earlier book Writers in Conversation vol. 2, which I have just ordered.) Bigsby, more than any other writer I have read, has really permitted me to better imagine W.G. Sebald as both a man and a writer. Christopher Bigsby is a Professor of American Studies at the University of East Anglia.